riKEA is a personal interrogation of this industrialized, mass-produced lifestyle we unconsciously become complicit with. Furniture usually produces the itineraries and behaviors of those residing with it. iKEA coincides with the highly cost-effective contemporary ways of living by turning furniture into disposable consumables, yearly updated and abandoned. The promise of “democratic design” has insidiously turned us into free delegated labour mechanically yet readily assembling those flat packs according to the given instructions. riKEA is a personal interrogation of this industrialized, mass-produced lifestyle we unconsciously become complicit with. 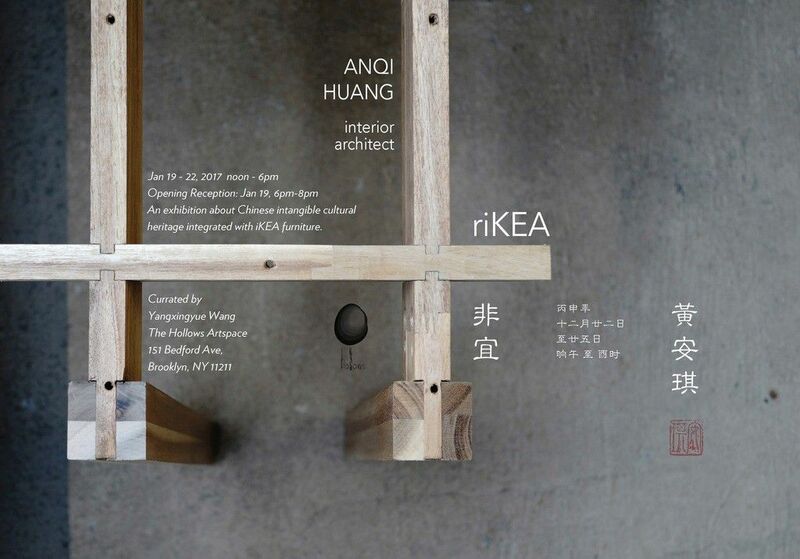 The artist reconstructs iKEA furniture pieces in traditional Chinese styles and techniques, with an attempt to evoke the ancient Eastern philosophy and an awing affect with qualities opposing to our current predominating conduct—endurance, uniqueness, and craftsmanship.